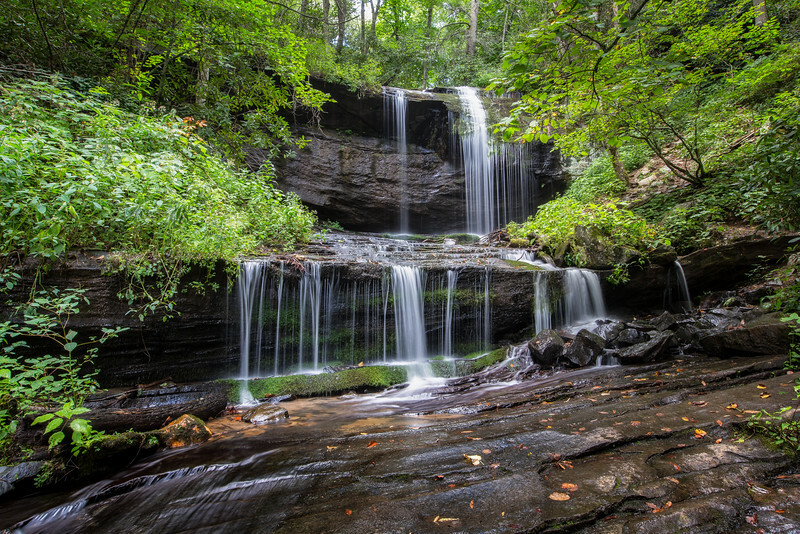 Grassy Creek Falls is located off the Blue Ridge Parkway, Milepost 334, near Little Switzerland, North Carolina. It involves a 2/3 mile hike on a gravel road and a slippery scramble down the bank to the falls. I can’t recommend the scramble, especially after a rain, which we had while we were there. It was treacherous getting back up to the road!